This book examines the historical development of the blessing of waters and its theology in the East, with an emphasis on the Byzantine tradition. Exploring how Eastern Christians have sought these waters as a source of healing, purification, and communion with God, Denysenko unpacks their euchology and ritual context. The history and theology of the blessing of waters on Epiphany is informative for contemporary theologians, historians, pastors and students. 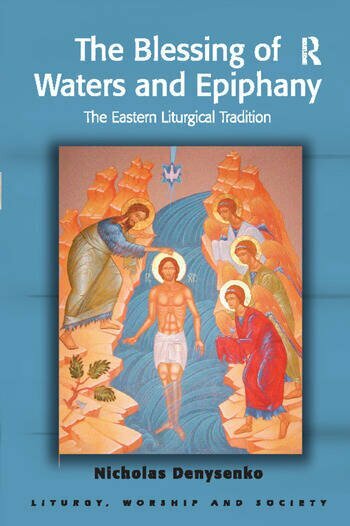 Offering important insights into how Christians renew Baptism in receiving the blessed waters, this book also proposes new perspectives for theologizing Christian stewardship of ecology in the modern era based on a patristic liturgical synthesis. Denysenko presents an alternative framework for understanding the activity of the Trinity, enabling readers to encounter a vision of how participants encounter God in and after ritual. Contents: Foreword; Preface; Introduction; Early history of the blessing of waters; History of the blessing of waters: stage 1 (8th-10th centuries); History of the blessing of waters: stage 2 (11th-13th centuries); History of the blessing of waters: stage 3 (14th-16th centuries); The origins of the 'Great are You' prayer; Memory and praise of the Lord's theophany; Epiclesis and the gift of the Holy Spirit; Pastoral considerations; Conclusion; Appendices; Bibliography; Index. Nicholas Denysenko is assistant professor of theological studies at Loyola Marymount University in Los Angeles, California, and an ordained deacon of the Orthodox Church in America. He earned his B.S. in business from the University of Minnesota (1994), an M.Div. from St. Vladimir's Orthodox Theological Seminary (2000) and a Ph.D. in liturgical studies from The Catholic University of America in 2008. He has published several articles in Studia Liturgica, Worship, St. Vladimir's Theological Quarterly, and Theological Studies. Current research projects include an analysis of Orthodox architecture in America and the theology of Chrismation in the Byzantine rite.